It’s the centenary of Middle-earth. In a piece in The Guardian, Tolkien scholar John Garth analyses Tolkien’s 1914 creative breakthrough — and the poem The Voyage of Éarendel the Evening Star from 24 September 1914 — that ultimately leads to Middle-earth as we know it today. 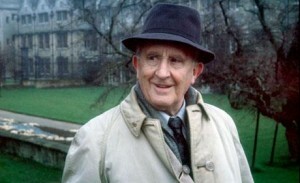 Neither elves nor hobbits were yet in JRR Tolkien’s mind. But the star mariner is remembered in The Lord of the Rings, as Eärendil, forefather of kings, whose light in a phial wards off Mordor’s darkness. In the vast backstory of The Silmarillion, he carries the last Silmaril, a jewel preserving unsullied Edenic light, seeking aid against the primal Dark Lord. None of this is in Tolkien’s poem from 24 September 1914. As an invented origin myth for the evening star, it is all energy and enigma. 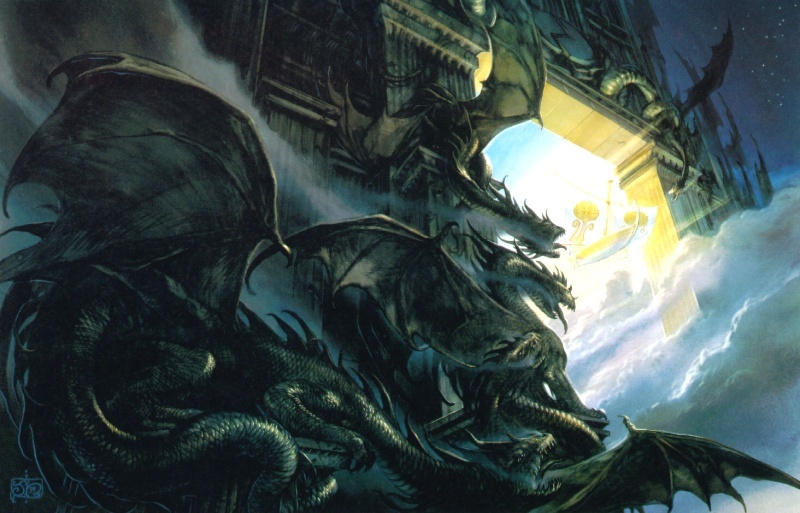 The concept of Éarendel using the Door of Night is also one that persists even through into the published Silmarillion, as famously illustrated by John Howe. The Valar also expel Morgoth from Arda through the selfsame door. 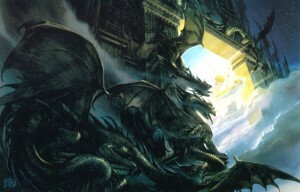 Vingilot leaving The Door of Night by John Howe. You can read more of John Garth’s thoughts on this poem, and the centenary of Middle-earth’s first stirrings over on his blog and in a summary of a talk he recently gave to the Tolkien Society at Oxonmoot. The Guardian piece is linked directly below, and Tolkien Studies 11 will contain an in-depth investigation.